Old school boomboxes are back in fashion and JBL shows exactly why jamming out to your favorite songs via a “boombox” will simply never go away. The JBL Boombox Bluetooth speaker has without a doubt grown with technology as it no longer offers your stereotypical boombox experience but a little bit of both in terms of the typical feel as well as having advanced technological features only nowadays can offer. Features such as wireless Bluetooth connectivity, a high-capacity 20,000 mAh rechargeable Li-ion battery, and an overall higher-quality and powerful sound has made this an electronic product that people keep talking about. 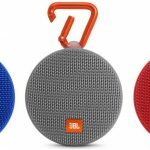 Whether we’re discussing portability, durability, or sound, the JBL boombox is one of the best portable speakers offered at its price, although it is quite high! 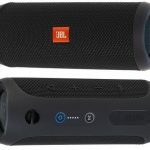 This is without a doubt JBL’s most powerful portable Bluetooth speakers ever made, and certainly will have little problem amplifying your sound. Let’s get into the details. It’s hard to find a place to begin, as this portable speaker offers so many features that create an incredible listening experience, as well as offers versatility that allow you to enjoy it just about anywhere, any time. First and foremost, the boombox’s Li-ion battery allows the listener to keep the party rolling all night long. Whether you are at a football tailgate, a housewarming party, or just lying around poolside, this is a portable speaker that virtually never dies. Up to 24 hours of playing time? That’s more than twice the average for Bluetooth speakers. Though it is considered a “portable speaker” the JBL Boombox is a heavier sized wireless Bluetooth speaker that approaches nearly 11 lbs. So if you are looking for a stronger bass and a louder beat, the four-active transducers and two bass radiators will be sure to get the message across with a bit of weight. This is a portable speaker that dominates the industry as it is known for dwarfing all other portable speakers in terms of how loud it can get. In addition to how loud this bad boy can go, lets discuss some of its fun features such as the speakers IPX7 waterproof capability. When it comes to waterproof ratings, IPX7 essentially means that the speaker can be submerged in water and still remain intact. Although we wouldn’t enjoy literally setting it in the pool (set it aside like the picture below), it will still give us confidence knowing it’s protected, especially during those summer party days. So enjoy it by the pool, in the shower or by the sink, as no liquid can bring down this beast. At 20,000 mAh battery capacity, and two USB ports to plug-in directly if you aren’t feeling BT, this is one of the best portable speakers when it comes to length in time that it can remain without charge. Not to mention it can serve as an external power back to charge your devices as well. 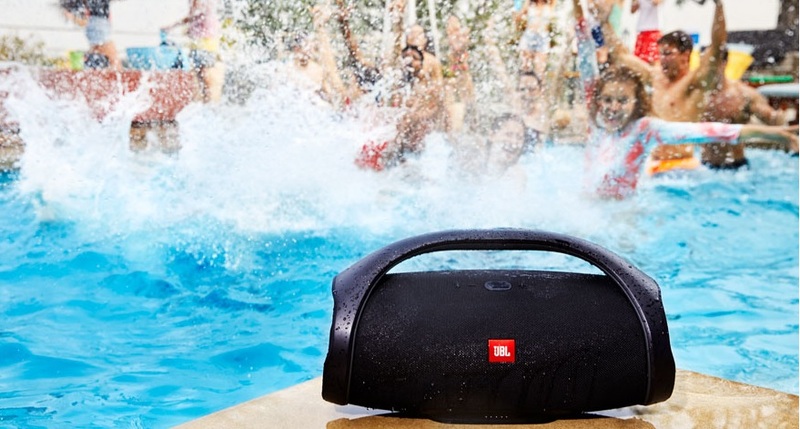 Not only is this speaker powerful, but also waterproof for a perfect combo (Source: JBL.com). Additionally, JBL Connect+ amplifies your music and heightens your overall sound quality by allowing you to enjoy the party wirelessly by connecting more than 100 JBL Connect+ compatible speakers (not that you ever will, but this can be a great plus if you’re able to hook up more than a few at a party to cover different areas of the vicinity). This is a feature that you simply cannot find within the portable speaker arena, and certainly helps make it one of the best portable speaker systems on the market. Their ‘sound modes feature’ also allows the user to enjoy a greater selection of musical experiences by having a few custom feels to whatever you think your music needs at the time. If you are at a family barbecue or a calm social gathering, this feature will certainly let you accommodate to your particular setting by simply selecting indoor mode. On the other hand, if you are searching for a deeper bass and a high-quality sound, switch on over to the speaker’s outdoor mode and let it rip. Expansive sound and stronger bass, as well as longer play time will without a doubt let you be the life of the party. 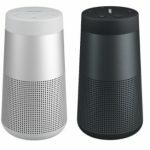 At this point it is no secret that the speakers best feature is, and what makes it one of the best portable speakers to choose from, its ability to truly fill the room with sound. This thing can get louder than anything out there. In particular, the JBL Boombox has an incredibly loud sound and bass that is incorporated with four active transducers and two JBL bass radiators. For those of you who don’t fully know what that means, just be aware that this speaker system gets loud! The weight of the entire unit and overall size is for a reason — they can fit a lot heavier and more powerful internal components to allow for a louder volume and clearer sound (think the size of almost a car subwoofer). 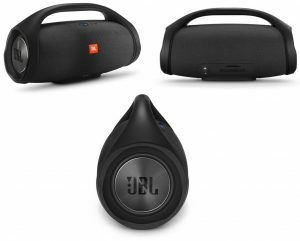 Hitting the bass hard, yet sustaining a lovely experience on the ears, the JBL portable speaker system is certainly a reliable option for parties of all kinds. 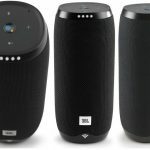 In comparison to other portable speaker systems on the market, the JBL boombox comes a little bit on the pricier side (yep, almost half a G retail), but is offered with more features than your typical “portable speaker”. When weighing your option in regards to your sound system, there are many features that should be considered. How loud do I really need my music to be? Will I use this for more of a party setting, or mostly just for myself? Well, the beauty of the JBL Boombox Bluetooth speaker is that it can do a little bit of both. 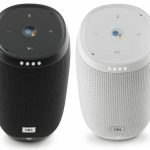 Whether you are looking to fill your house with sound, or simply want to jam out as you get ready for the day, the JBL Boombox’s sound adjusting options will enable you have both experiences. 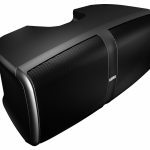 In addition, you should certainly consider how many features you truly need in your portable speaker system. Hopefully the color options don’t steer you away, however. Right now you’re only able to choose from Black or Olive, which may be a downside for you. If you think you simply need a basic speaker that allows you to just plug your smartphone in with an aux cord or hook up via BT with a smaller price-tag, you might be able to find cheaper options that will do the job. You can read our best portable Bluetooth speakers guide for some competition, although none of those come close to this thing’s price-point (and of course, quality and power). 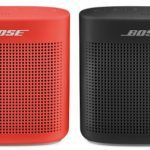 Something like the Bose SoundLink may be of interest to you. However, if you are looking into a jam-packed high-quality speaker system that offers just about everything you might need in every setting, there is not much better out there. 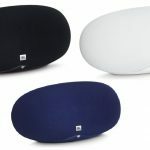 To conclude this article, it’s safe to say that for heightened sound experiences and a louder bass, this just might be the best portable speaker you can find as long as you have the cash handy. If you are unsure as to the exact features you might need, the better question might be to ask yourself, how monstrous of a portable speaker system do I exactly want?